safety as operators don't have to manually intervene in the drilling process. 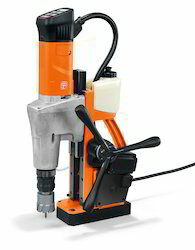 The new FEIN core drilling units cover all applications such as core drilling, twist drilling, thread cutting, countersinking and reaming and are used in metal and steel construction as well as the construction of bridges, machines, ships and containers and in related all other Metal Industries. Cost-effective and precise core drilling Operating comfort and safety with "Viseo Touch Pad"
Universal core drilling unit for flexible working on site. Core drilling unit with two-speed gearbox for efficient drilling on site. 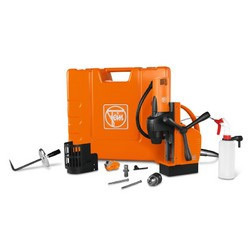 As the inventor of the electric handheld drill, FEIN has been developing innovative and unbeatably efficient solutions for practical applications for 140 years. Core drilling is an extremely efficient process: faster, quieter and more accurate than twist drilling. And since core drilling requires no pre-drilling or retooling, the time needed for the job can be cut by up to around 40 % – in the plant and on the building site. 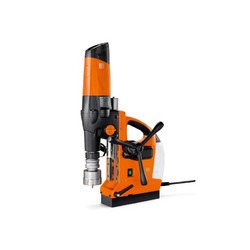 FEIN core drilling units are noted for their powerful HIGH POWER MOTOR providing sustained power, their optimum power/weight ratio and compactness. The magnetic feet are sized such that the machines can be used in the smallest space possible and even for overhead work. 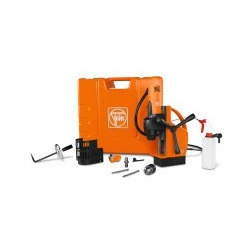 FEIN core drilling units are also noted for the Quick IN rapid tool changing system and the infinitely variable stroke range setting, which allows large drilling tools to be changed without the operator having to take the core drilling unit off the work piece. 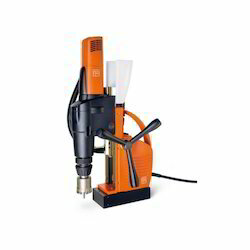 Further key benefits of FEIN core drilling units include precise drilling results, the reliability for which FEIN power tools are famous, high load handling, ease of use and optimum safety. 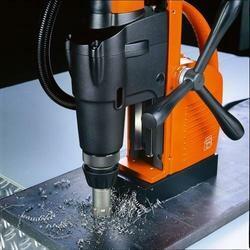 FEIN provides a compact core drilling unit with high mobility for installation jobs. 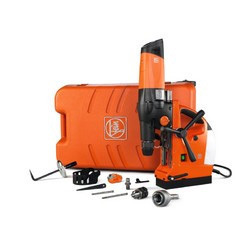 Small, extremely lightweight core drilling unit with superb ease of use for vertical and overhead use. Quick IN rapid change system for fast, keyless tool changes. Continuously adjustable double dove-tail guide enables use of long drilling tools without removing the machine from the work piece. 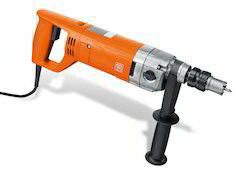 We are the leading and prominent Manufacturer, Exporter and Distributor of Fein 25 mm Hand Core Drill KBH 25. 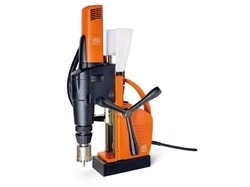 We are the leading and prominent Manufacturer, Exporter and Distributor of Fein 50 mm Automatic Magnetic Core Drill. 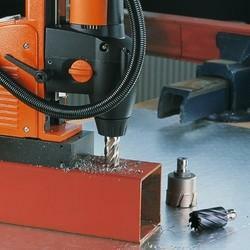 Fully-automatic core drilling unit for outstanding efficiency in the workshop. Looking for Magnetic Base Core Drilling ?